Europe's most famous religious pilgrimage, the Camino de Santiago, begins on the French side of the Pyrenees Mountains and runs nearly 500 miles across Northern Spain to Santiago de Compostela, the final resting place of St. James. Pilgrims have walked this route for a thousand years and this history is told in the hundreds of churches and other historic buildings that have grown up around the trail. The walking is generally easy, the trail is well marked, there are many accommodations in the small and larger towns along the trail, and walkers meet pilgrims from all over the world. 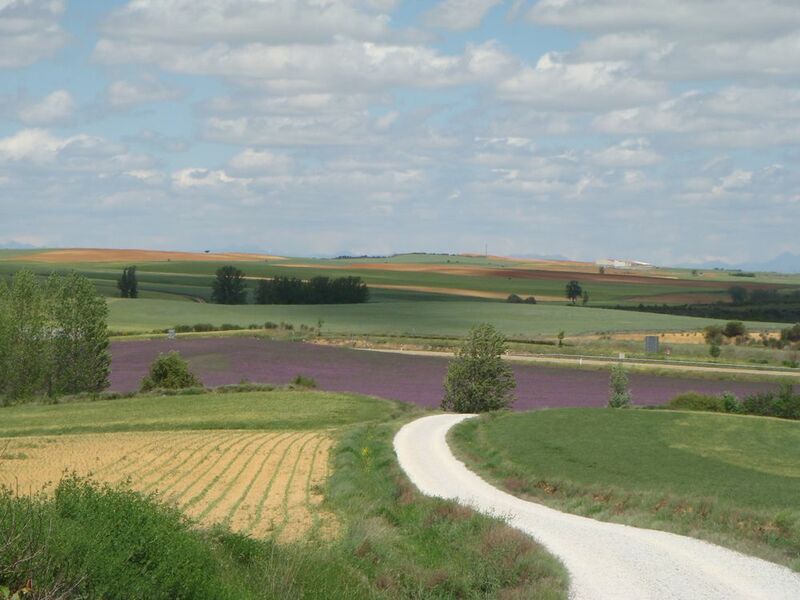 Quiet lanes make good spots for reflection as one journeys to Santiago de Compostela.